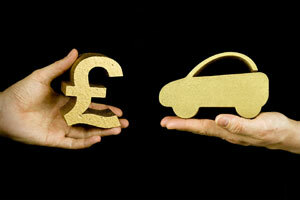 Car hire websites unclear about charges, says Which? Car hire websites are confusing people with unclear charges that make it impossible to compare prices and find the cheapest deal, says Which? Travel. When Which? researchers went through the booking process 120 times on 10 of the most popular car hire rental websites, they said the total price was not clear for more than half the bookings. Of the researchers who had a compulsory fuel charge to pay, 75% said they did not know how much it would be. Nearly half (44%) of our researchers didn’t know the cost of the optional excess waiver to reduce the amount you’d have to pay if the car was damaged – even though it can add more than £100 to a week’s rental. Knowing how much you’re going to pay before you commit to buy is crucial to making the right decision. It’s also a principle of European law that essential information, such as compulsory and optional charges, must be clearly stated at the point of purchase. Which? has written to three companies, Avis, Dollar and Enterprise, to remind them of their legal obligations. We are sharing the results of our investigation with car hire companies to encourage them to make improvements. Hiring a car doesn’t have to involve hidden charges. Which? separately carried out a satisfaction survey of car hire firms and brokers, and you can see how individual companies performed for clarity of pricing and other issues in the full results of the survey. We found that one car hire company was rated streets ahead of the rest. Auto Reisen, which operates only in the Canary Islands, received a customer score of 89%, beating well-known rivals Thrifty (71%), Enterprise (70%), Hertz (59%) and Avis (57%). Goldcar came bottom of the Which? members’ satisfaction table with a customer score of 42%. Economy Car Hire topped the broker table of ratings with 78%, with Argus Car Hire at the bottom scoring 52%. If you’re unhappy with your car hire company, you can follow our guide to making a complaint. Which? executive director, Richard Lloyd, said: ‘The car hire industry is taking customers for a ride by hitting them with sneaky charges not included in the headline prices. ‘By not being upfront about the total cost, people are likely to have to pay out more when they pick up the car and it stops them being able to shop around to compare deals. We made a total of 120 visits in February 2013 to five car hire firms (Alamo, Avis, Enterprise, Europcar and Hertz) and five brokers (Argus Car Hire, Auto Europe, CarHire3000, Economy Car Hire, and Holiday Autos). We went through the booking process for a week’s rental in Spain. We also asked more than 3,000 Which? Connect members in January about car hire.